Posted on October 12, 2010	by Lou Murray, Ph.D. 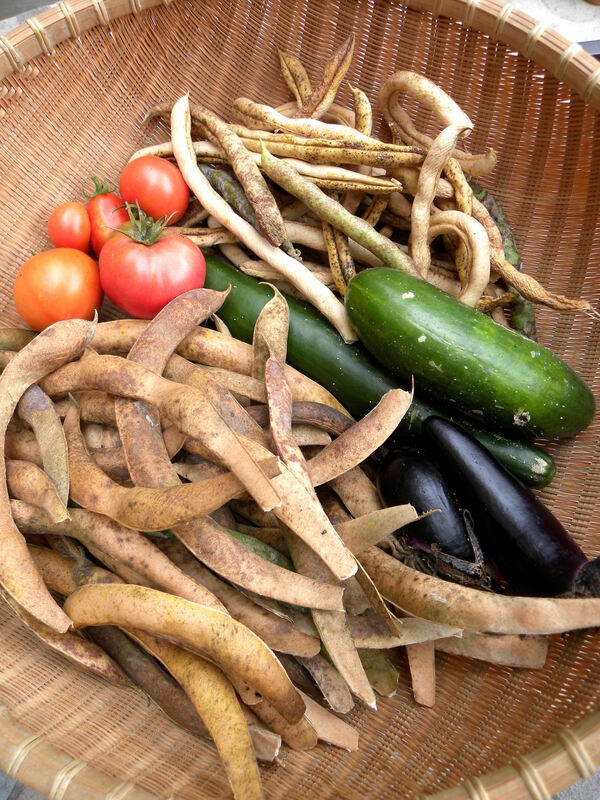 The harvest last week included lots of scarlet runner beans, plus some dried Blue Lake pole beans that I'm saving for seed for next year. Our garage sale for the anticipated Huntington Beach Community Garden was a rousing success. I took over four carloads of stuff from our house and garage, and several other people donated as well. All in all, we made about $830. Our garage sale was a rip-roaring success. 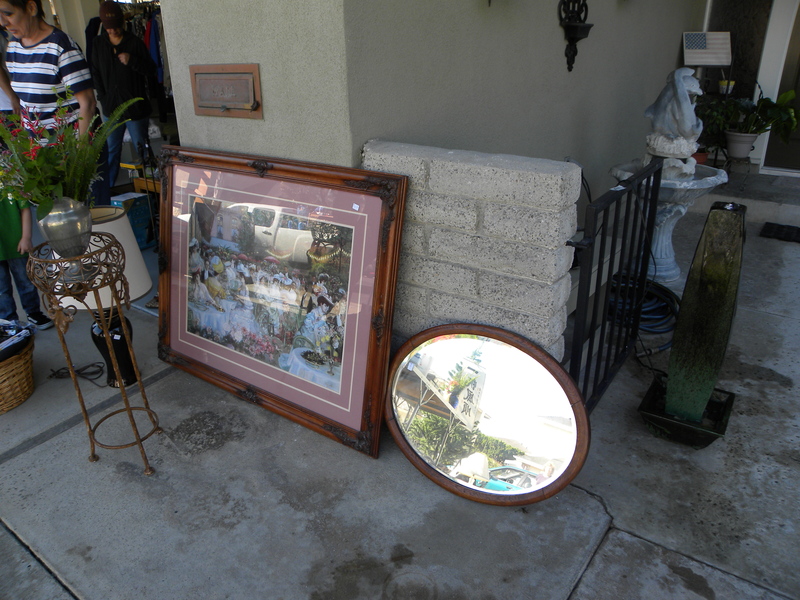 We had a two-car garage stuffed with donated items that spilled out onto the patio and driveway. It was a madhouse the first couple of hours. As things sold, we rearranged and spread out more. 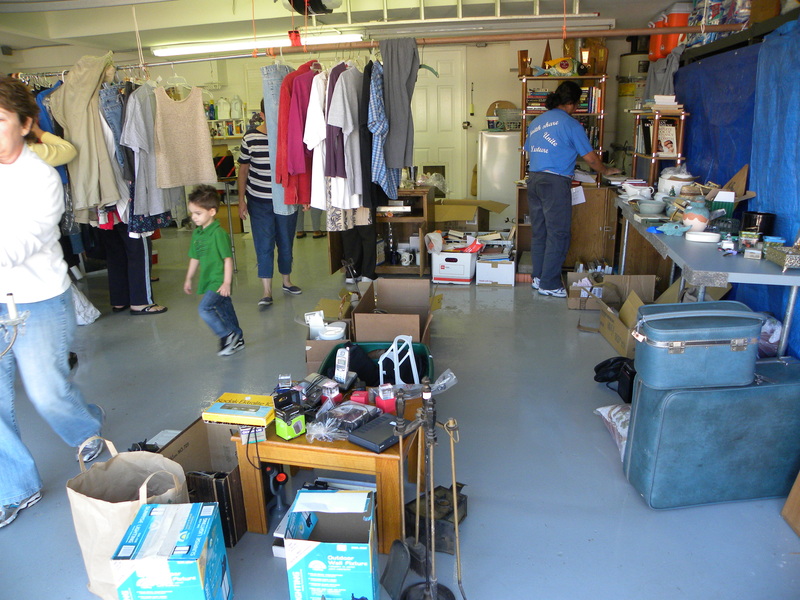 By the time we closed at 2 pm, a lot of things hadn't sold, but this garage was PACKED with stuff earlier in the day. The remnants from our sale still filled a single car garage, but it’s all going over to a rummage sale being held to benefit the Wetlands and Wildlife Care Center in town, a non-profit that cares for our local injured and orphaned wildlife. The exciting news from the community garden is that it looks like we’re really down to the final approvals between Southern California Edison and the City of Huntington Beach. After a year and a half of hard work, we expect to be able to get onto the property and begin work on November 2. We’ve raised about $6,000 toward the project and have pledges of in-kind donations worth $21,000, but we’re still about $20,000 short on the money that we need. That’s assuming that we can do most of the labor ourselves, which may not be possible, given the advanced age of most of our members. Well, we’ll do what we can and hope to start digging our individual plots in January. My own home garden is getting neglected due to all the effort I’m putting into getting the community garden started. Here’s what I harvested this past week. 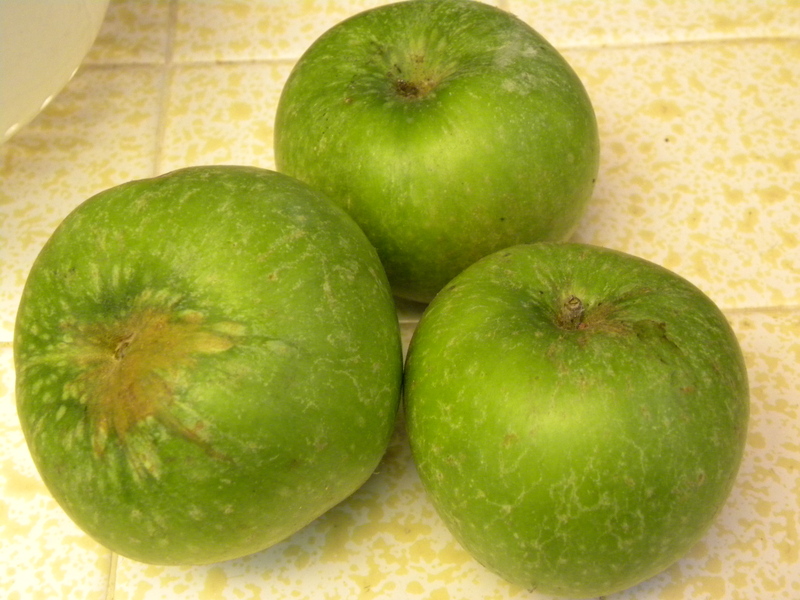 I was surprised to find these three Granny Smith apples at the back of the tree. I had missed them. Today I found yet another apple. I did manage to get 4 quarts of tomatoes processed down to 5 pints of homemade tomato soup, and get it canned. This was the first time I’ve ever canned my own tomato soup. I added lemon juice to the soup to make sure that it was acid enough. I’ll add the milk when I open the jars and heat it up to serve it. This entry was posted in Uncategorized and tagged Harvest Monday, Huntington Beach Community Garden. Bookmark the permalink. Thanks, Lou! You did a terrific job and worked very hard. All of your things were a hit as well! Your support is valued. Telling so many of your friends also helped quite a bit. Just the mention of your name and people say you are a very good writer and they read your column every week. I’m glad the sale was a success. Perhaps you can rouse some local volunteer labor to help out? Hi Clare. Most of the garden club members are elderly. Some are disabled. The “abled” ones seem to be working with little time to spare. We are hoping to get quite a bit done with volunteer labor, but there is too much heavy work to get done for our elderly members to do it all. Mmmm! I’ve been looking for a good tomato soup recipe. Care to share? Hi Annie’s Granny, I’d be happy to share my tomato soup recipe. I kind of made it up on the spot, adjusting as I went. Let me put it in a post so more people will see it. You sure have been busy. I hope you get all the funding you need to get it finished. On the harvest side of things, my harvests are slowing down too. I find it a little sad, but part of me is just waiting for winter to hit so I can relax for a while. I hear you about relaxing, Daphne. Having just made my last pie with homegrown apples, I’m looking forward to a bit of unwinding vis a vis the garden as well. But then I have to get busy with fall planting.